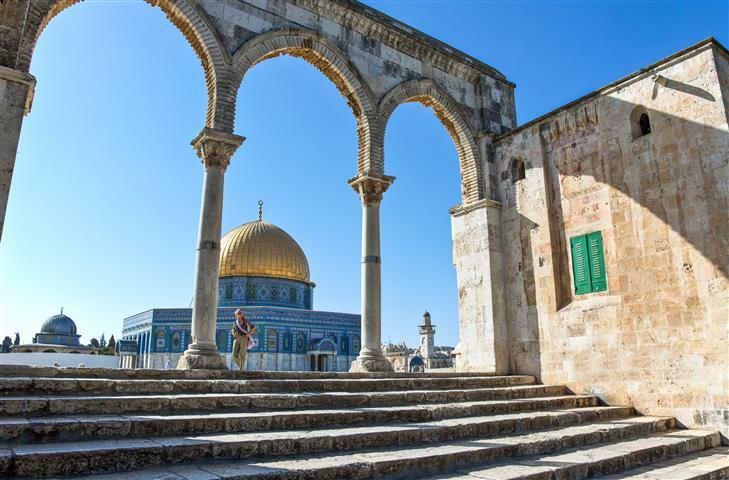 Pick up from major hotels in Tel Aviv is at 07:15 a.m. or from major hotels in Jerusalem at 08:30 a.m. Start by driving for an amazing view of Jerusalem from the Mount of Olives. Pass through the Kidron Valley to see the Garden of Gethsemane and the Church of All Nations. Enter the Old City through the Zion Gate, and pass the Armenian Quarter, to arrive at the Byzantine Cardo. Walk through the Jewish Quarter to arrive at the Western Wall. 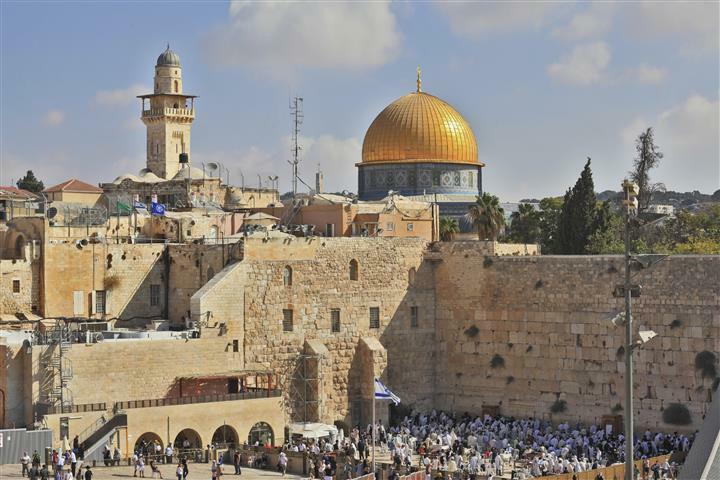 This is the holiest place in the world for the Jewish people, who come to pray here. We will walk the way that Jesus walked as he carried the cross to Golgotha and was crucified. Continue along the Via Dolorosa and stop at some of the 14 Stations of the Cross where Jesus stopped to talk and where he fell under the weight of the cross he was carrying. 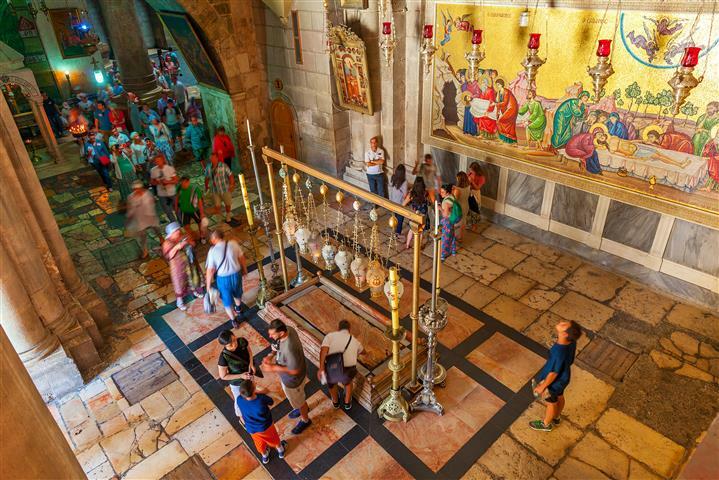 Arriving at the church of the Holy Sepulchre we will tour the church and you will see Jesus’ burial tomb. Stroll through the Old City markets before departing for the Dead Sea. Drive through the Judean desert and stop at the sea level marker. Continue on to see a view of Jericho, the oldest inhabited city in the world. Arriving at the Dead Sea, swim in the salty water, which is said to be very therapeutic. Spread the dark mud on your skin for the mineral qualities to sink in. After the tour we will take you back to your hotel. Arrival back at about 18:00. Recommended bathing suit, towel, hat, sun protection & beach thongs. 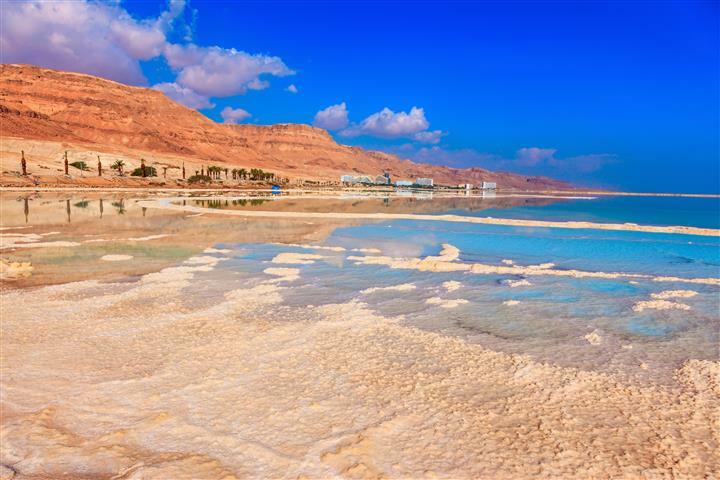 The transfer drive to the Dead Sea shore is without a guide.